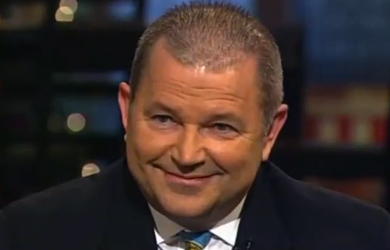 Republican presidential hopefuls keep lining up to take part in events organized by David Lane, in spite of the activist’s extreme Christian-nation politics. On Friday, Bobby Jindal and Mike Huckabee were in Iowa to meet with conservative pastors organized by Lane’s Iowa Renewal Project. Jindal and former Arkansas Gov. Mike Huckabee, both of whom are considering seeking the GOP nomination for the presidency in 2016, were the stars of a private Iowa Renewal Project event in Cedar Rapids organized by David Lane, a political activist from California who has been quietly mobilizing Christian conservatives in Iowa for seven years. He organized a similar pastors’ gathering in Des Moines and booked Kentucky U.S. Sen. Rand Paul and U.S. Sen. Ted Cruz of Texas, two other possible presidential candidates, as the featured speakers. Jindal recalled how on live statewide TV at a campaign debate he was asked to identify the single most important moment in his life. “I smiled and thought to myself, ‘That is the easiest question I’ve ever been asked,” he said. “I just blurted out the truth: it was the moment that I found Jesus Christ,'” he told an audience of about 250 Christian conservative pastors and community leaders. 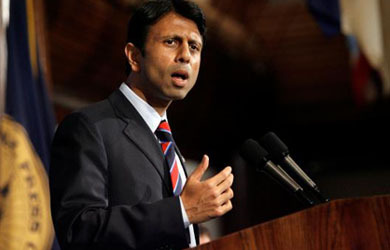 It’s not always easy to be a Christian, Jindal said. According to the Register, while Jindal was warmly received, attendees agreed that Huckabee stole the show. 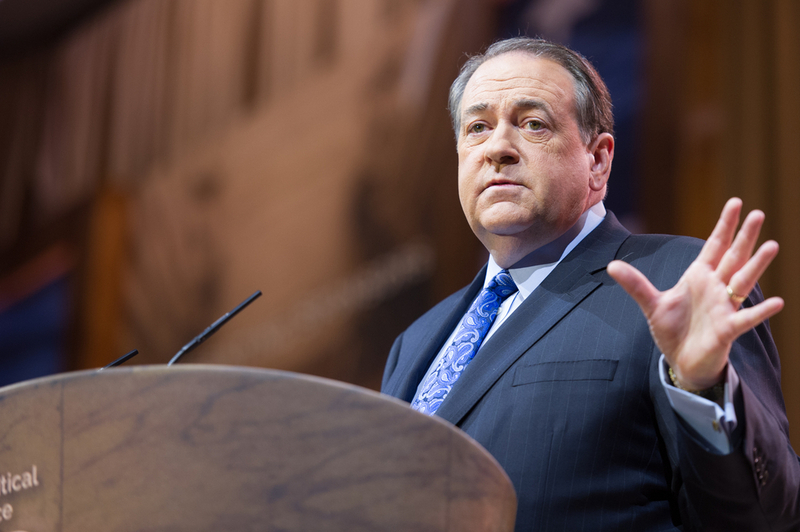 As Jacobs notes, “Huckabee leads polling as the Republican front-runner in Iowa, riding on popularity he built in 2008, when he won the GOP caucuses here.” In his remarks, Huckabee took on conservatives who want to talk only about liberty and low taxes but not moral issues. Rand Paul made a three-day swing through the state last week, but Huckabee denied that his remarks were a direct poke at Paul.